Founded in 1888 by Theodore Rivierre, the factory is still in its original buildings. Since then, engeneers and workers have handed their knowledge down from generation to generation, to perpetuate the know-how of nail making. Rivierre is the last working nail factory in France. It is recognized as a Living Heritage Company, which is a label granted by the french Ministry of the Economy, Industry and Employment to reward firms for the excellence of their traditional and industrial skills. At the beginning, Theodore Rivierre only made tacks for shoe making and upholstery. Then, the company widened its production range. Today, it produces 2800 different nails for all the fields of industry and craft industry, and also makes bespoke nails. Some nails are so specific that no other company can make them in the world ! Whatever the application, you will find the nail you need in Rivierre’s catalogue. 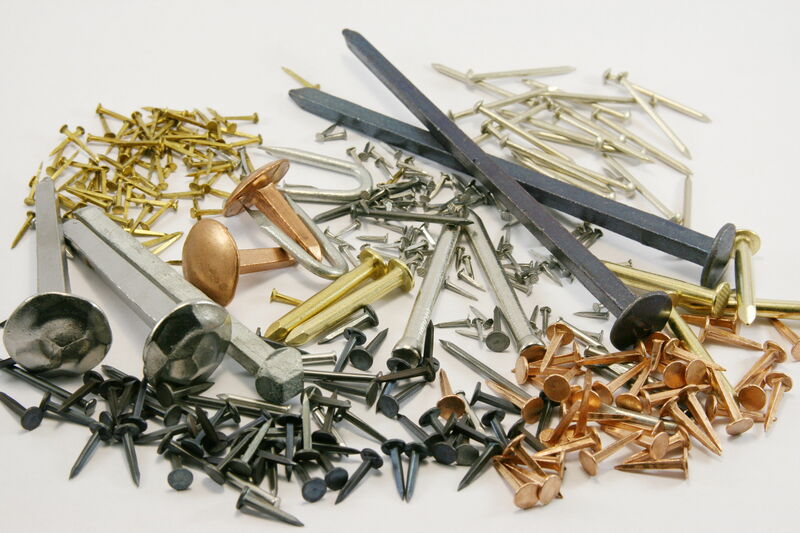 To learn more about our nails, look at our pages: you can find your nail by application or by metal. You can also Click here to visit our online shop.